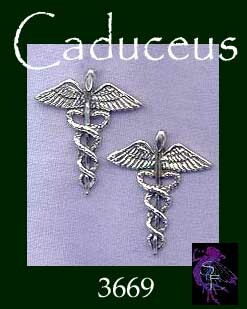 Caduceus Jewelry - With Strong Ties to Paganism, the Caduceus is recognized internationally as the symbol of Medicine, and symbolizes Healing of the Body, Mind and Spirit! 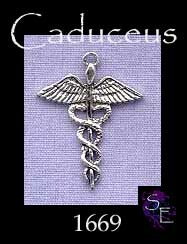 2 - Sesculapius, the Roman God of Medicine appeared during a plague in Rome in the form of a snake. 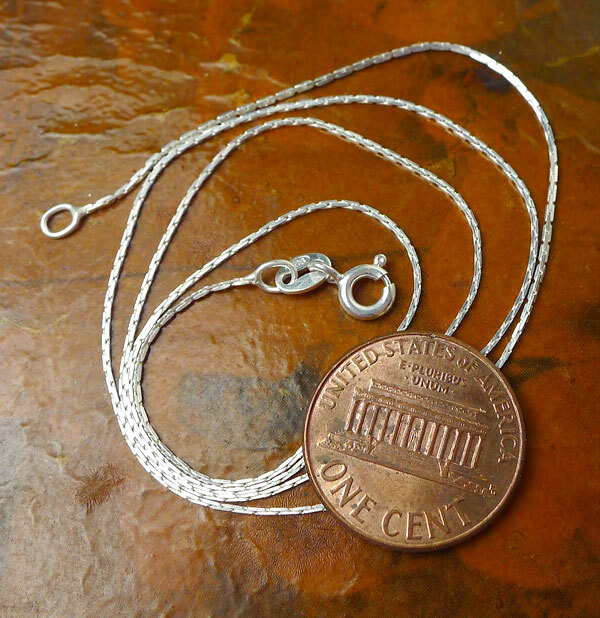 Snakes have through the millenium represented eternal life & revelation of truth (shedding of the skin), and are often credited with being able to search out medicinal herbs. 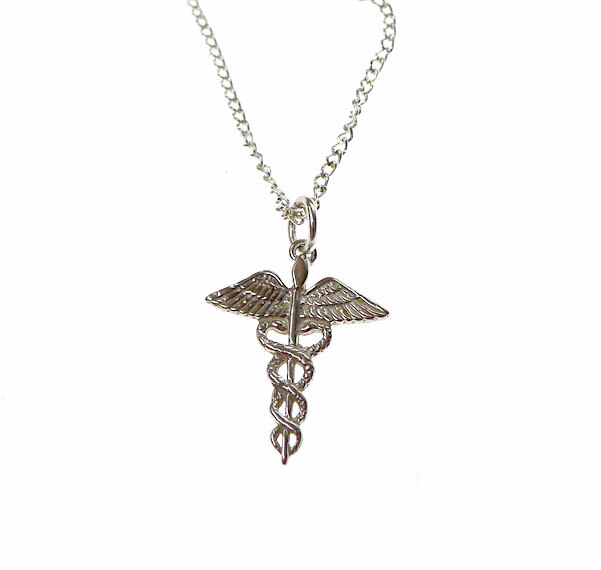 This Sterling Silver Medical Caduceus Charm measures approximately 24mm x 18mm and is the perfect size for your charm bracelet or can be worn as a pendant on your favorite necklace chain. 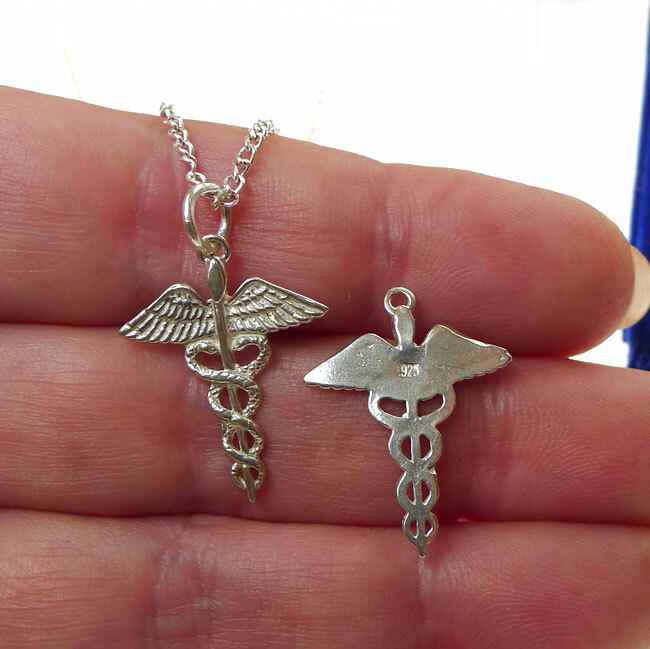 > You can Customize this item into a Medical Symbol Necklace -- Choose from : Charm Only, or on a Sterling Silver Necklace Chain -- please see last picture for current chain style. 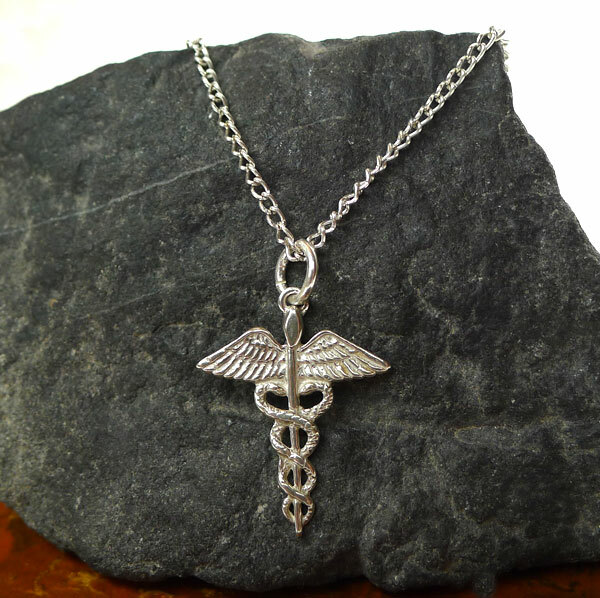 When selecting on a SS Chain, your Sterling Silver Caduceus Necklace will come Boxed.